Genesis Streets of Rage 2 (USA) in 27:55.53 by Bestiajerules. 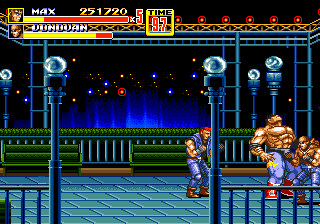 An excellent Beat-'Em-Up game with an extraordinary soundtrack composed by Yuzo Koshiro. Played with Max on Mania difficulty. This is a three minute improvement over the previous run. We recommend reading the author's comments of this movie.